Lynn Ann Grosshuesch, 59, Algoma, passed away peacefully at her home with her husband by her side and family surrounding her September 17, 2018. Lynn was a proud Registered Nurse graduate and worked very hard as a nurse for 22 years. Lynn married Roland Grosshuesch, her soul mate of 33 years on June 3, 1995. They together retired in Algoma on the lake, her serenity. Lynn's favorite things she loved, includes: sitting on the pier to listen to nature, sending her child a song with deep meaning to listen to, taking rides with her husband, watching her children and grandchildren grow, lighting candles for anyone struggling, followed with a prayer, she enjoyed storms and Packer games. Lynn always wanted peace and happiness and found good in everyone. Her latest and best enjoyment was the birth of her first great grandson, Antwoine. Lynn is survived by her husband Roland, her mother Dorothy Kohel, brother Robert (Judy) Kohel, her six children Jodi (Gabriel) Alwin, Sarah (Alex) Duffeck, Jennifer Witczak, Roland (Gina) Grosshuesch III, Sonny Grosshuesch and Nicholas Stauber, 17 grandchildren and one great grandchild, nieces and nephews. She was preceded in death by her father Charles Kohel. Lynn's family would like to extend their sincere gratitude to the medical staff of Aurora BayCare in Green Bay and the Kewaunee County Rescue and EMS staff. Especially Dr. Rob Anderson who provided great care for her through the years. As she flies into the sunset as little Eagle Woman she will not say goodbye she will say "see you later" or "schlafgut". There will be a private ceremony per Lynn's wishes. 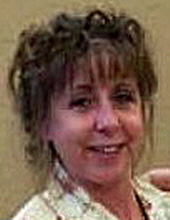 Condolences can be made to her family attention Roland Grosshuesch at 615 Lincoln St., Kewaunee, WI 54216. Any donations will go to the funeral expenses. Lynn made "The Lord's Prayer" part of her daily routine. Our Father who art in heaven, hallowed be thy name; Thy kingdom come; Thy will be done on earth as it is in heaven. Give us this day our daily bread; And forgive us our trespasses as we forgive those who trespass against us; And lead us not into temptation, but deliver us from evil; For thine is the kingdom, and the power, and the glory, for ever and ever. Amen. To send flowers or a remembrance gift to the family of Lynn Ann Grosshuesch, please visit our Tribute Store. "Email Address" would like to share the life celebration of Lynn Ann Grosshuesch. Click on the "link" to go to share a favorite memory or leave a condolence message for the family.